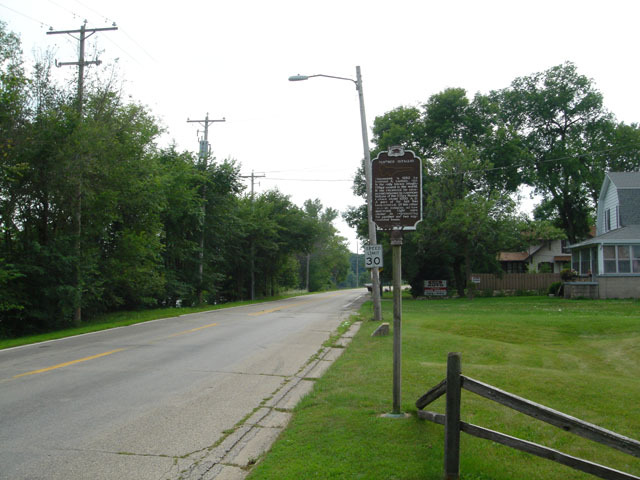 Located S riverside drive and Wilson St Fort Atkinson WI Coordinates Lat N 42:55':508" Lon W 88:51':267"
Discovered in 1850 by Increase A Lapham, This is the only known intaglio Effigy mound in the world. It was excavated for ceremonial purposes by American Indians of the Effigy Mound Culture about 1000 A.D. A part of the tail has been covered. 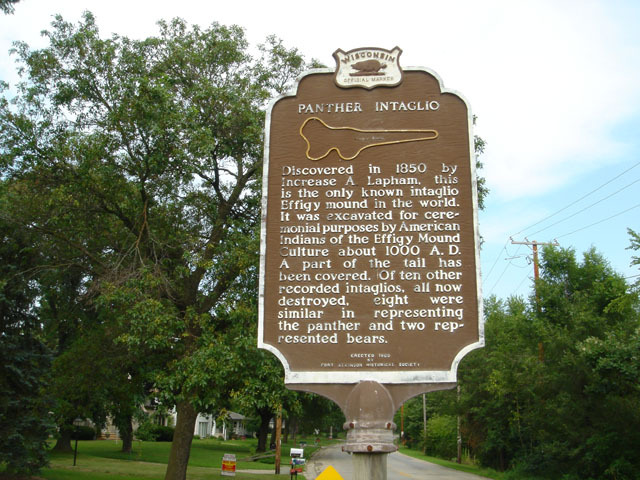 Of ten other recorded intaglios, all now destroyed, eight were similar in representing the panther and two represent bears.